The Toyota Sequoia is much like its sibling, the Tundra, but with three rows of seating, an SUV-style roof, and plenty of cargo space for all of your stuff. In addition, the hefty SUV’s V8 engine gives it the ability to tow more than 7,000 pounds behind it! Furthermore, the Sequoia is also one of the most off-road-capable SUVs in its class. Don’t get the wrong idea, the Sequoia isn’t just a powerhouse, it's also very well-equipped with modern features and technology systems. 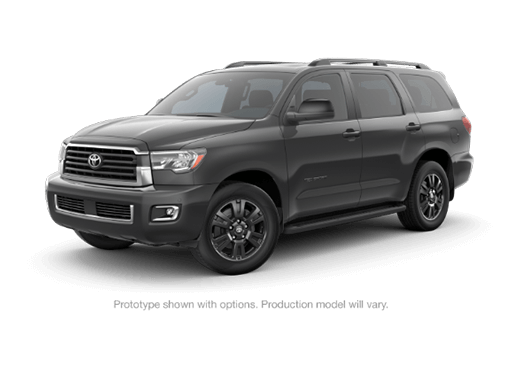 Whatever you may be looking for in a full-sized SUV—features, power, or cavernous cargo space—you can find it in the 2019 Toyota Sequoia. Now, let’s take a closer look at each of these categories. Safety first, right? Standard in every 2019 Sequoia, Toyota drivers are sure to appreciate Dynamic Radar Cruise Control, Pre-Collision System with Pedestrian Detection, Automatic High Beams, and Lane Departure Alert with Sway Warning System. 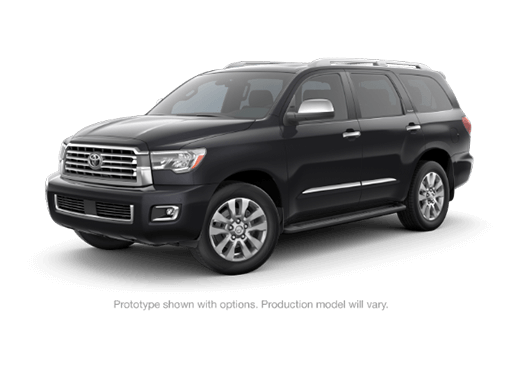 As for entertainment, every 2019 Toyota Sequoia comes with a touchscreen interface, a navigation system, a CD player, Siri® Eyes Free, satellite radio, Bluetooth®, and more. 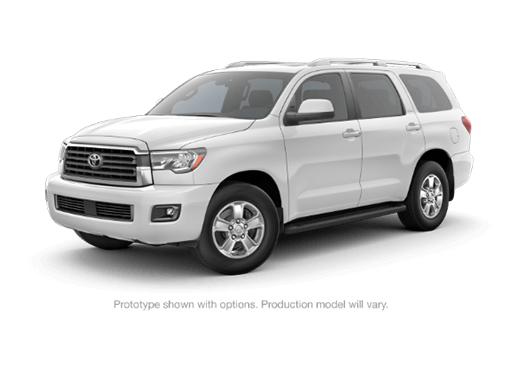 When you ignite the engine of the Toyota Sequoia, you bring to life a 5.7-liter V8 engine that’s mated to a six-speed automatic transmission. This power couple can produce up to 381 horsepower and 401 pound-feet of torque. 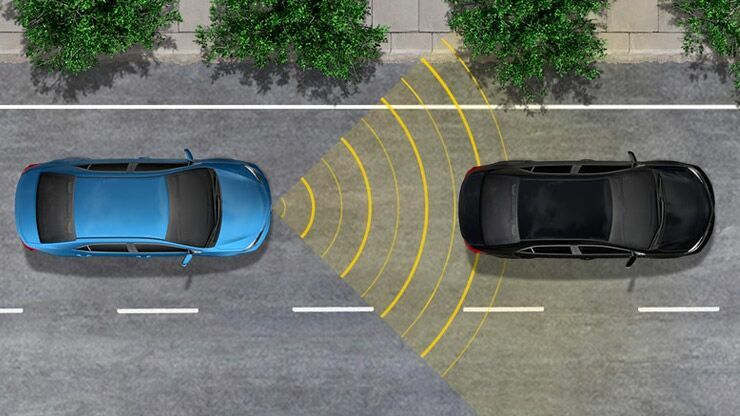 Rear-wheel drive is standard and four-wheel drive is optional. 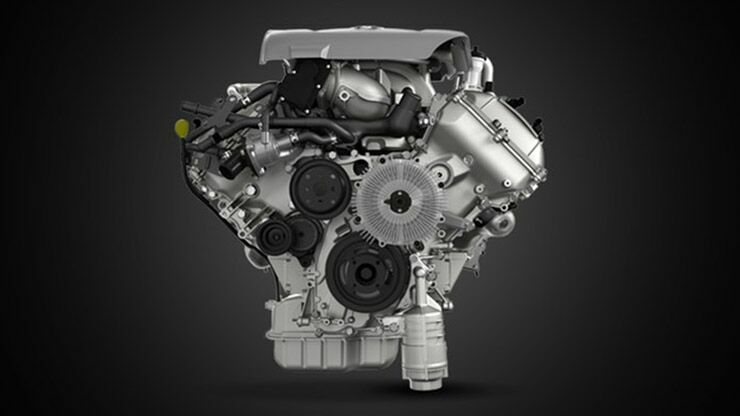 Needless to say, this engine isn’t just powerful, it’s also uncompromising. In other words, you should never be bored behind the wheel of a Toyota Sequoia. 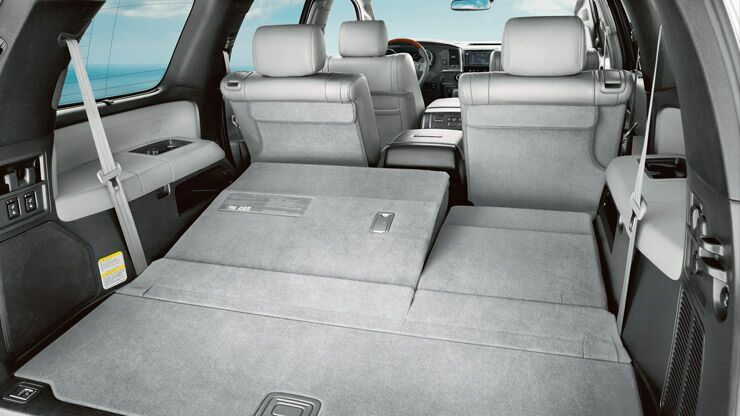 With all three rows of seating upright, the base cargo space of the Sequoia is 18.9 cubic feet. Fold down the third row, however, and that measurement quickly jumps up to 66.6 cubic feet. Furthermore, if you fold down both the third– and second-row seats, the 2019 Sequoia will reveal its maximum cargo capacity of 120.1 cubic feet. Whatever you may need to bring along, there’s a very good chance that the Sequoia can make room for it.